The 12-month, full-time EMBA in Hospitality Administration is an immersive programs for executives in the hospitality industry. Accessible to exceptional candidates, with or without hospitality-specific experience, the program is designed to groom professionals into successful leaders, capable of effective and strategic management. The program builds on previous experiences and is highly customizable to individual goals, resulting in high-performing, highly-employable graduates. With a combined alumni and professional community of 25,000 industry executives, EHL is uniquely poised to offer a world-class education in hospitality management. Delivered from Lausanne, Switzerland, an established destination in luxury travel, candidates will develop their skills and expertise in a uniquely multicultural and challenging environment. The accelerated program combines candidates' previous experience with personalized mentorship to offer each candidate a unique set of skills and competencies, setting them apart in the jobs market. Candidates will graduate the program prepared for niched markets of the hospitality industry. Develop strategies at both the property and corporate levels of the hospitality industry, including business environmental analyses. Synthesize information towards sound and informed business decisions, with specific reference to financial implications. Allocate resources effectively to transform strategy into reality. Manage change at both an individual and organizational level. Effective communication with key stakeholders. Cultural sensitivity and the ability to solve problems via critical reflection. Independence and autonomy in executing professional and entrepreneurial projects. A holistic perspective to hospitality in practice. Since its founding in 1893, Ecole Hôtelière de Lausanne (EHL) has built a reputation as an educator of leaders in hospitality and produces, with recent graduates being recruited by Hyatt, Hilton, Swisshotel, InterContinental, Venitian Macau and other desirable employers. Being highly customizable, the EMBA in Hospitality Administration provides candidates with an outlet to discover their strengths and weaknesses and build their professional profiles based on their unique talents and personal attributes. With the support and mentorship of talented faculty and industry professionals, candidates receive every opportunity in career advancement and, often, develop expertise in their own field of interest. Whether the goal is to push your career forward or make a shift into hospitality management, the EMBA in Hospitality Administration provides candidates with a platform to discover new skills and grow as future leaders in hospitality enterprises. Attracting a wide array of talented individuals from a variety of countries and industries, the EMBA in Hospitality Administration is a meeting ground for ambitious and success-minded business professionals. All in all, candidates of the EMBA in Hospitality Administration enroll in the program in search of change, whether in terms of advancement in their current positons or a full career change. 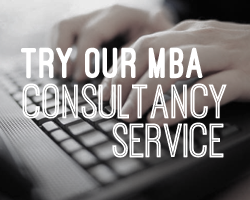 Both are common routes to the EMBA program and candidates are admitted from non-related industries, including banking, law, political science, art & culture, architecture and computer science. Ambitious hospitality professionals also seek out the program to refine and develop their skills as capable leaders for hospitality enterprises. Ecole hôtelière de Lausanne selects EMBA candidates based on the collective of their academic and professional achievements, personal traits and one-on-one interview with an admissions officer. The Ecole hôtelière de Lausanne seeks out candidates with ability and strength to succeed in an intellectually demanding environment and the motivation and managerial potential for a career in the complex industry of hospitality. In addition to academic and professional qualifications, ideal candidates demonstrate artistic ability and a strong customer-service orientation. Graduates of this program will be awarded an Executive Master of Business Administration from Ecole Hôtelière de Lausanne. The Executive MBA in Hospitality Administration is recognized by the Swiss federal government as an HES-SO degree(University of Applied Sciences). Degrees of this type follow the principles of the Bologna Declaration and are euro-compatible. It has also been granted the “OAQ evaluated” label from the Swiss center of accreditation and quality assurance in higher education. The Ecole hôtelière de Lausanne is accredited by the Commission on Institutions of Higher Education of the New England Association of Schools and Colleges. The EMBA curriculum reflects an immersive and accelerated program and requires approximately 60 hours of work and study each week. The program is specifically designed to help creative and resourceful candidates gain core skills in financial and strategic management, as they apply to the hospitality industry and in preparation for leadership roles in the field. The final Capstone Project is designed to provide candidates with a platform to put new knowledge into practice. With support of faculty and industry professionals, candidates will work with executives to design a complete project solution to an actual business issue relating to lodging, food & beverage preparation and service, transportation, real estate development, etc. Fill out your details to find out more about Executive MBA in Hospitality Administration. I was searching for a way to reposition myself within the hospitality industry after working onboard luxury expedition ships for National Geographic. The Master programme at EHL has given me the ability to make a graceful leap from ship to shore with the confidence to start my own company as a hospitality consultant.